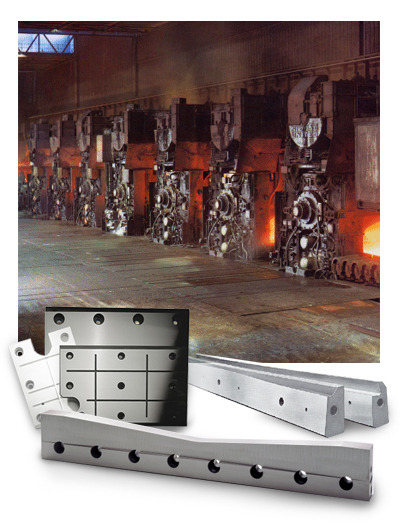 Our knives are available in hot work tool steel and in high temperature super alloys to deliver maximum performance in the most demanding applications. Additionally, we regrind and refurbish every type of hot strip mill knife. Knives and/or knife cassettes are processed at our facilities for expert reconditioning to original specifications. Our reconditioning programs are designed to support every mill operator’s demands.